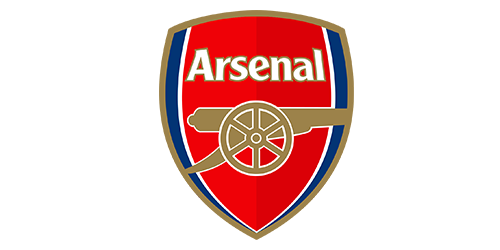 Arsenal Football Club is the first Premier League club to use vFloorplan to sell its meeting and event spaces. 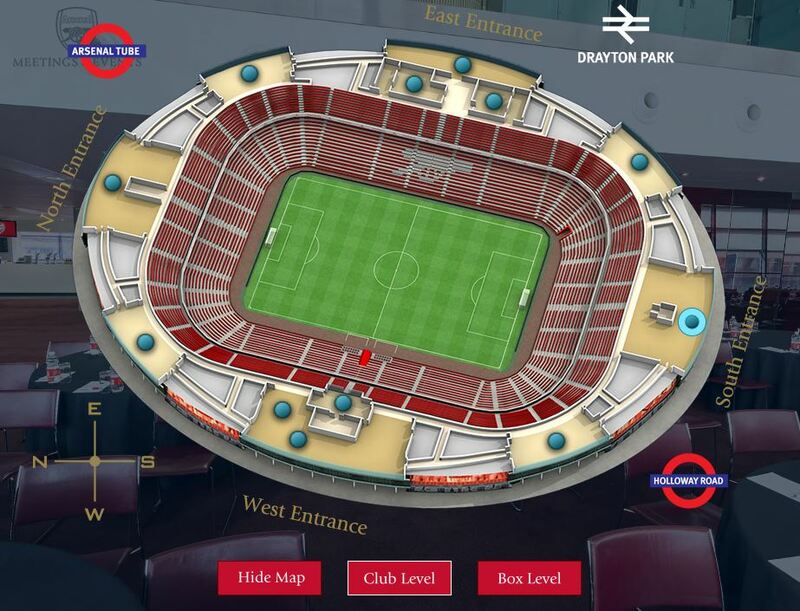 We built an interactive 3D visualisation of Arsenal’s Emirates Stadium, complete with every room, suite and box. 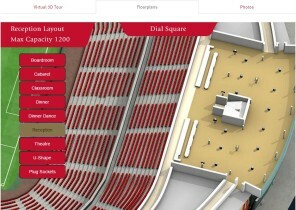 It’s in situ on the Arsenal website’s Events page so that site visitors can enjoy a 360 virtual tour. 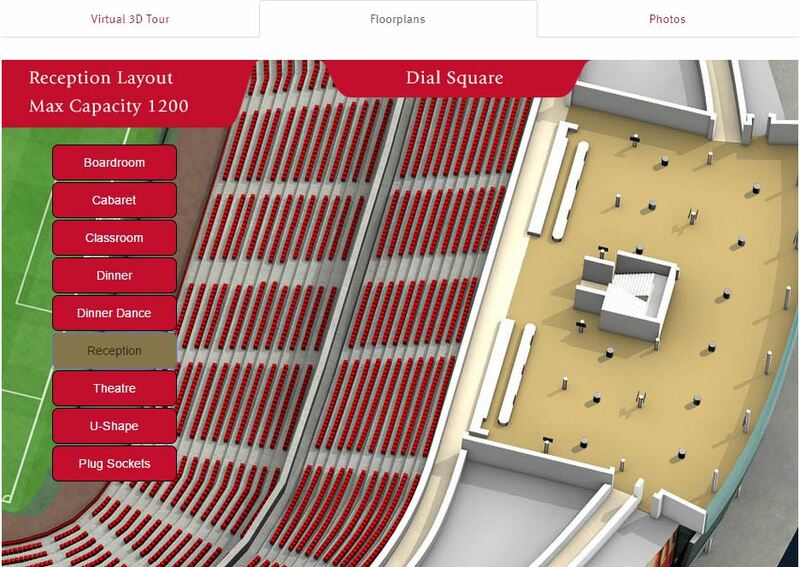 Discover it for yourself here: simply click the link, scroll down and select the Show Map icon to see our vFloorplans of the Emirates Stadium. Arsenal is the first to use our new interactive vFloorplan Layout Views where we show each room as a dedicated page with interactive buttons to show all the room layout options within them. Discover how Layout Views work here – just click the ‘floorplans tab’ to see Layout Views and use the interactive buttons to change the room layouts. We have represented all the rooms and boxes – Click Spaces on the Top Menu and select ‘other rooms’ from the list.